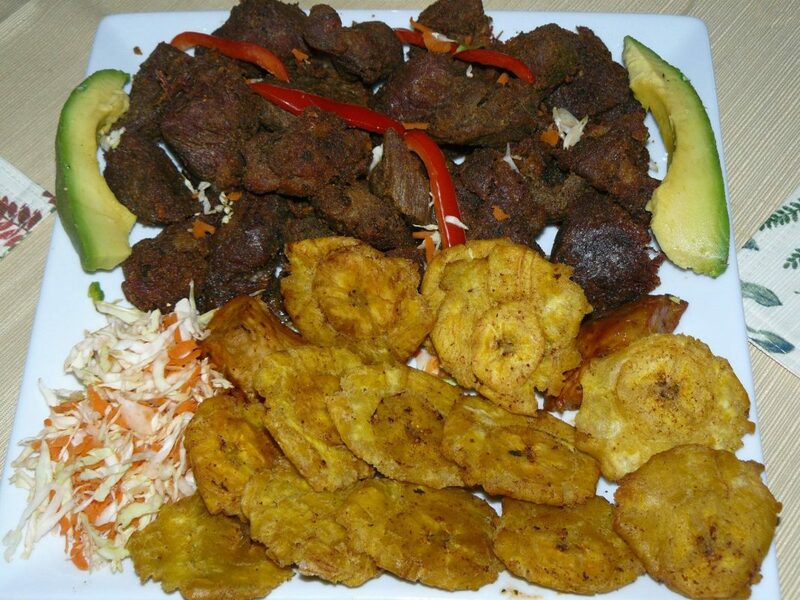 Griyo (fried pork) is a widely popular meat dish that’s typically accompanied by rice, fried plantains, and pikliz. It is finger-licking good! Cut the pork into cubes. Wash thoroughly with the lime and sour orange juice. Season well with rosemary, thyme, parsley, garlic powder, pepper, epis, seasoning salt and let it marinate for 4 hours. For best results, refrigerate overnight. In a saucepan, boil water over medium-high heat. Add in the meat and cover. Let it cook until the water evaporates. Stir occasionally and continue to cook until meat is tender. In a skillet, heat oil and fry each side to brown evenly. Serve hot with bannann peze and diri kole. Yummy!